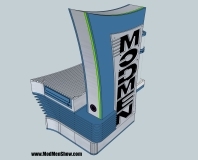 US-based modding store Mnpctech has launched its own web-based series of videos, called Mod Men, which includes news, tips and tricks for would-be modders. The bit-tech Mod of the Month sponsor gave us an exclusive interview prior to the launch today, which precedes a bi-weekly airing on its YouTube channel. In short, there'll be modding tips and tricks galore, along with industry insight, product reviews and they're even building a PC case from scratch. We caught up with Bill Owen of Mnpctech for quick chat about the forthcoming series. 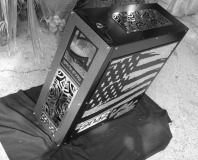 'The webisode series follows my PC modding business, Mnpctech,' said Mnpctech's Bill Owen in an interview with bit-tech prior to the launch of the series. 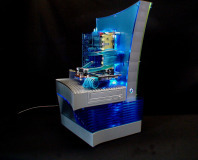 The series will even feature familiar mods built by bit-tech regulars such as Cheapskate, whose new scratch-built watercooled PC will be seen in the series. The videos will air every other week on Mnpctech's YouTube channel, as well as on the new, official website, Modmenshow. Check out the trailer for the series below, then let us know your thoughts in the forums.